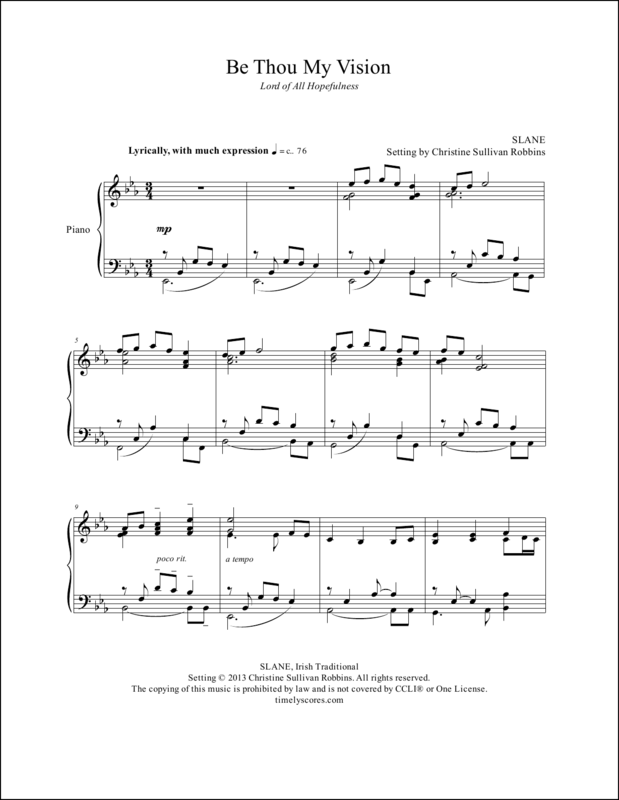 Solo piano arrangements of Christian hymns and songs for Ash Wednesday and Lent – ideal for church services and recitals – and available as downloadable sheet music. 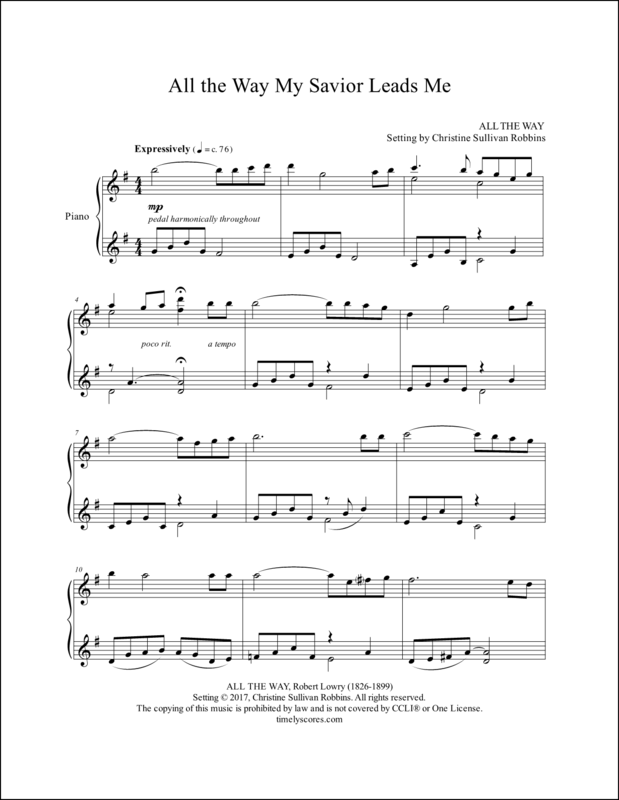 Remind listeners that “Jesus doeth all things well” with this comforting piano arrangement of a beloved hymn. Learn more. 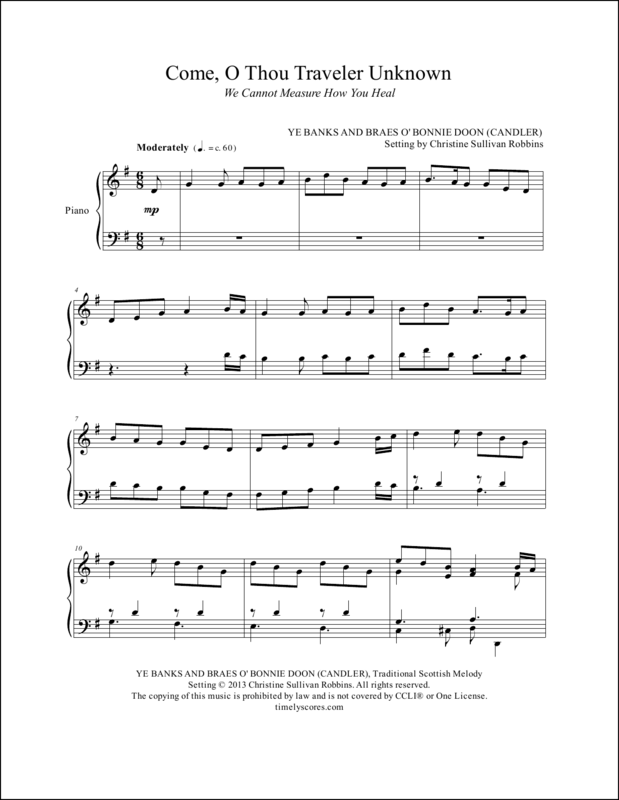 This easy, breezy piano hymn arrangement of the traditional Scottish tune Ye Banks and Braes can liven up any church service or recital. (a.k.a. We Cannot Measure How You Heal) Learn more. 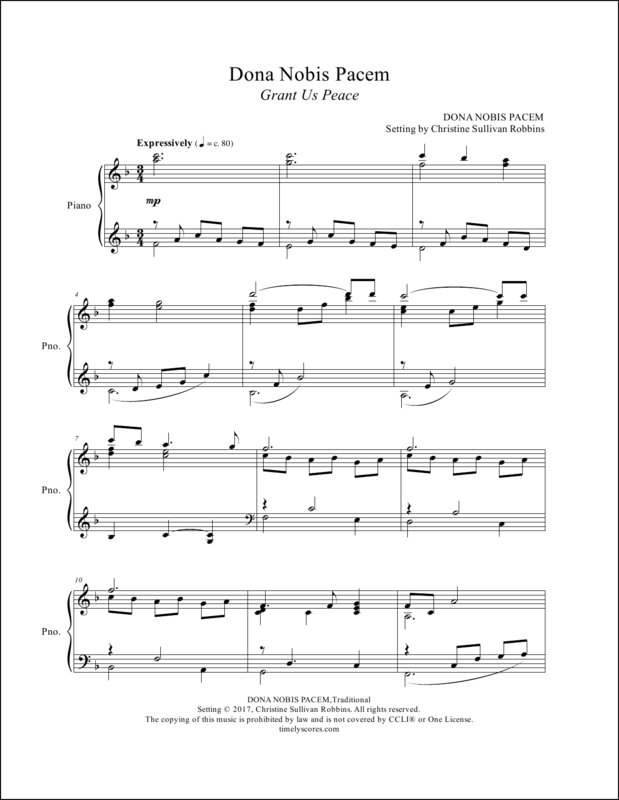 Enrich meditative moments in church services with this prayerful piano medley that weaves together two hymn tunes, Repton and Rest. An ideal choice for Ash Wednesday and throughout Lent. Learn more. The comforting, familiar round gets a fresh treatment in this tranquil piano setting. Easy to prepare and an ideal selection any time a prayer for peace is needed. Learn more. 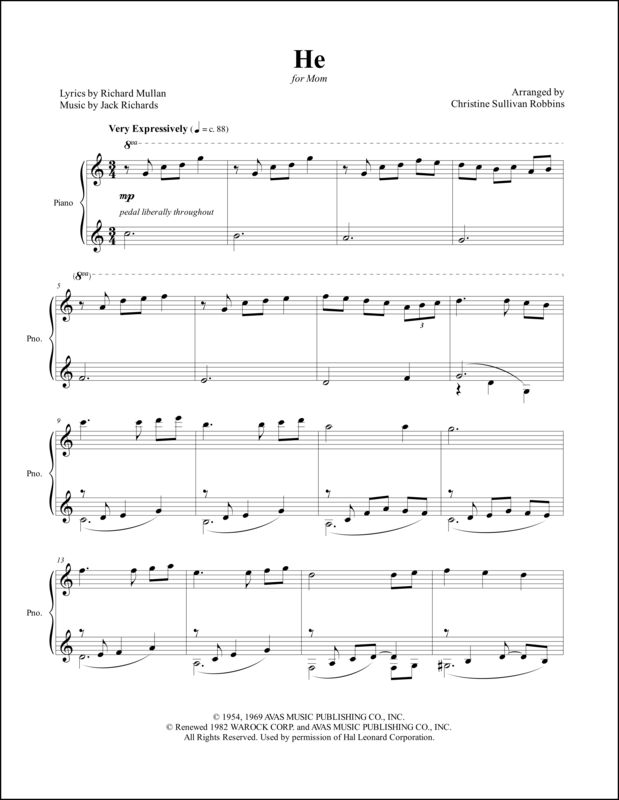 He can turn the tides and calm the angry sea…Stir listeners’ hearts with this impressive, yet playable, piano arrangement of a beloved Christian song. Learn more. 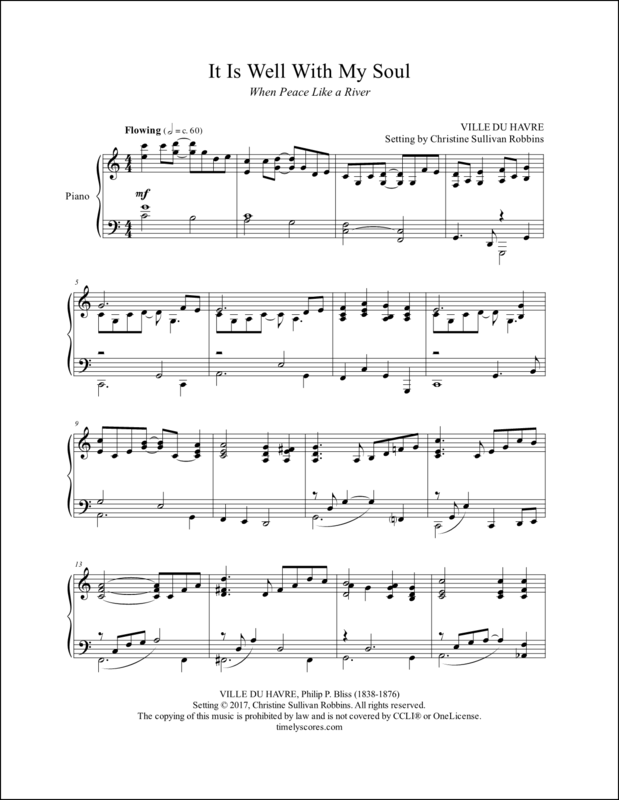 Carefree and enjoyable to play, inspire listeners to be “faithful followers” with this fresh piano arrangement of the hymn tune He Leadeth Me. Learn more. 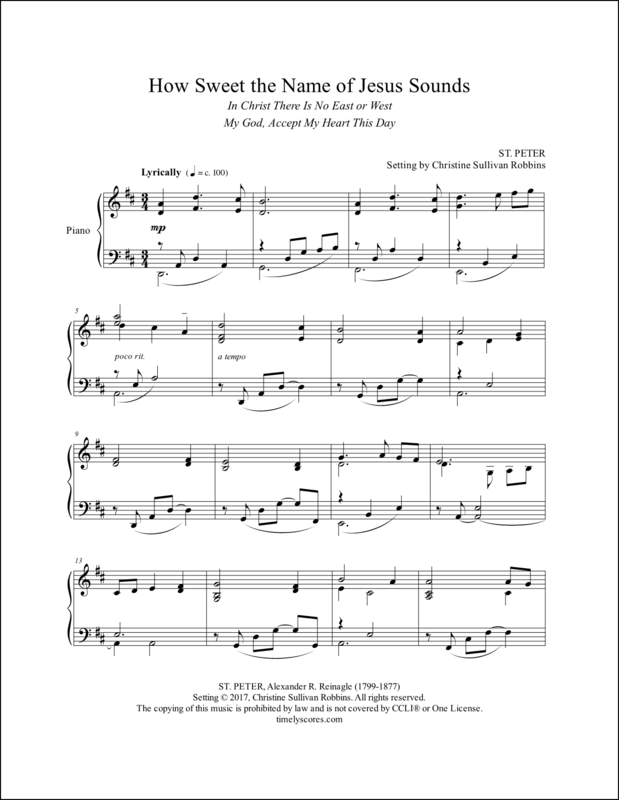 Listeners will savor this sweet-sounding, simple-to-prepare piano arrangement of the hymn tune St. Peter. (a.k.a. My God, Accept My Heart This Day). Learn more. 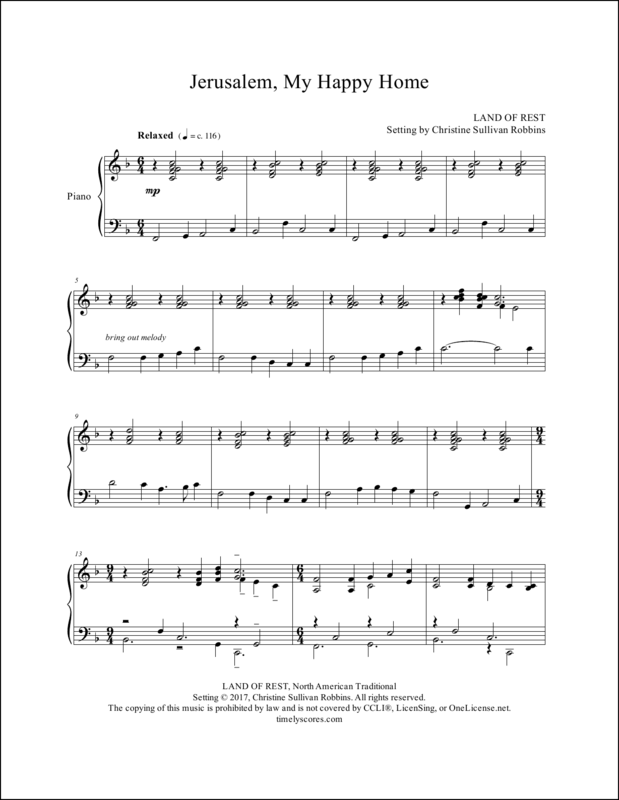 A rustic chic sound and relaxed rhythms will delight listeners in this easy-going piano arrangement of the traditional North American hymn tune Land of Rest. (a.k.a. I Come with Joy) Learn more. 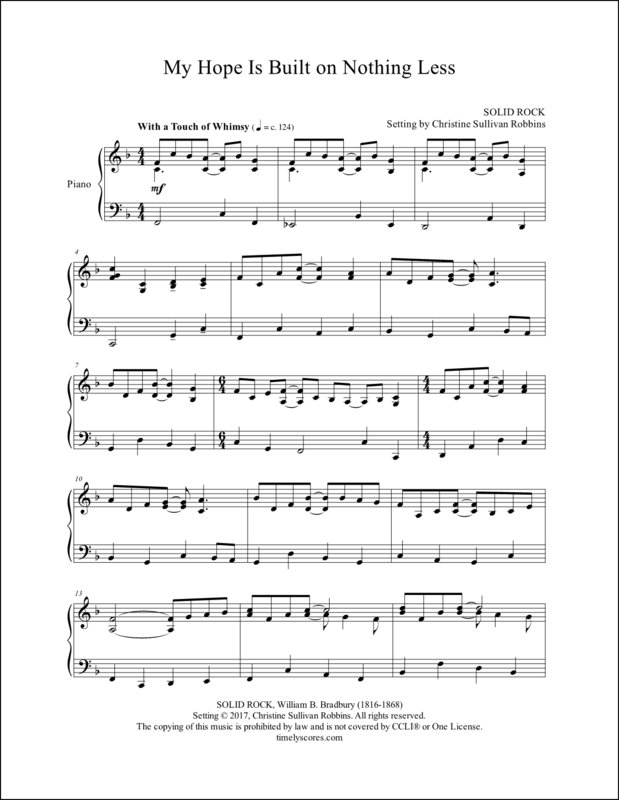 Add a touch of ragtime whimsy to church services and recitals with this playful piano arrangement of the favorite hymn tune Solid Rock. Learn more. 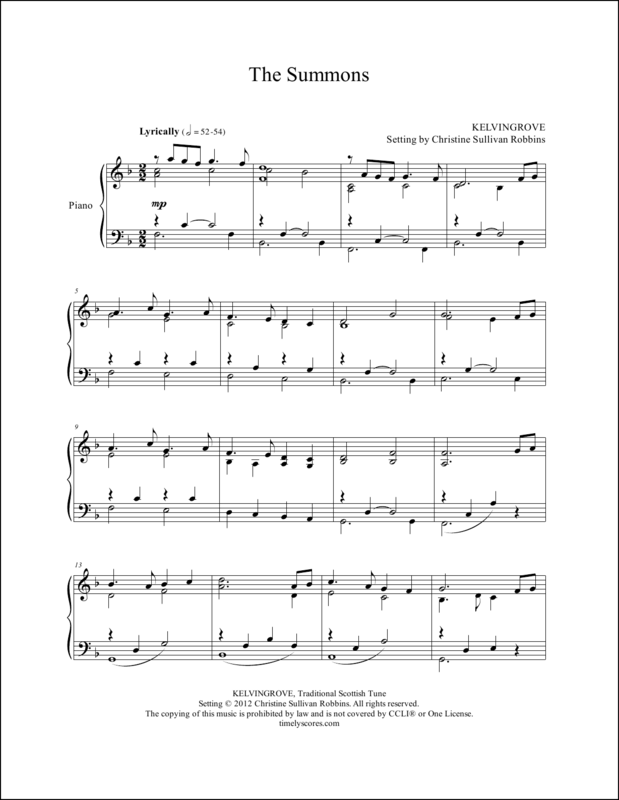 Enhance more serious moments in church services with this subdued piano arrangement of the Welsh hymn tune Llangloffan. (a.k.a. O God of Every Nation or Bless Now O God the Journey) Learn more. 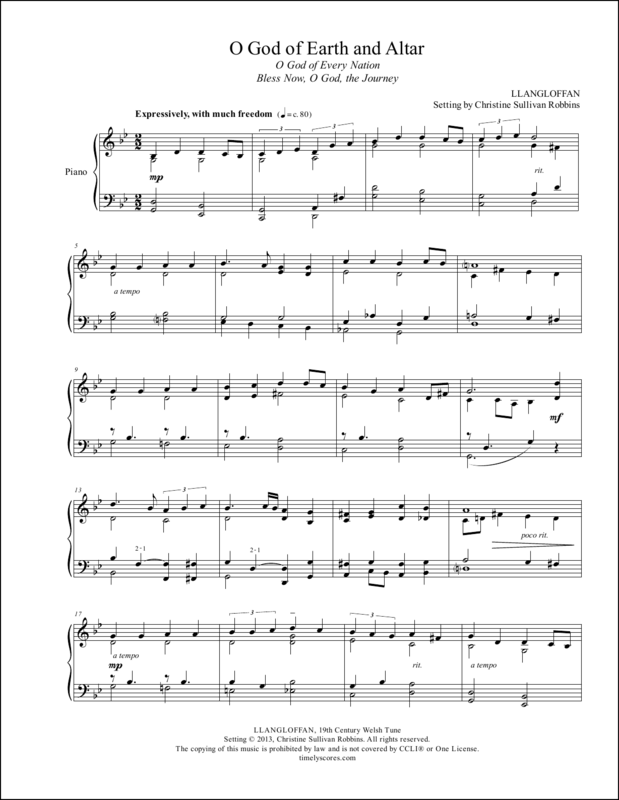 Relaxed and reflective, inspire listeners with this piano arrangement of the hymn tune Angel’s Story. A stirring choice for church services and especially apt for confirmations. Learn more. 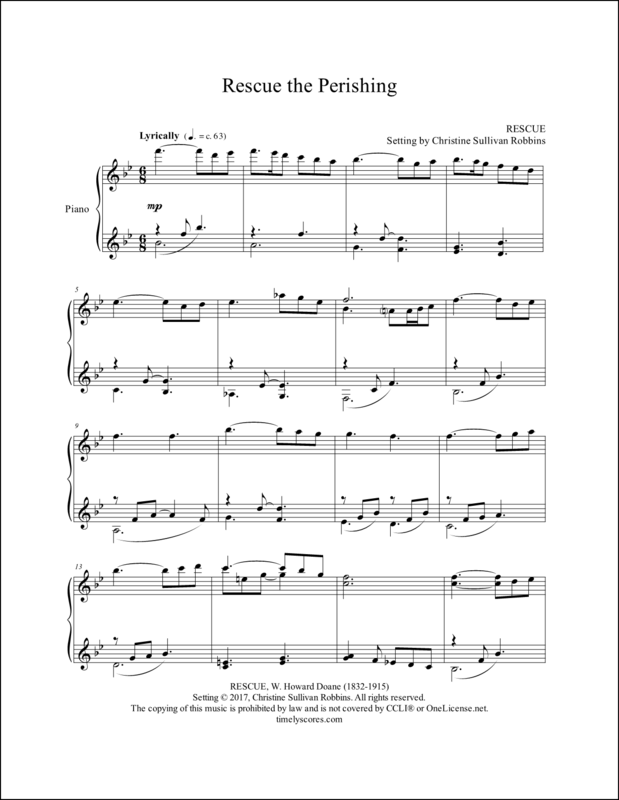 In this upbeat piano arrangement, the familiar hymn tune Rescue gets a fresh, lively treatment with a triple meter. Inspiring and a real joy to play! Learn more. 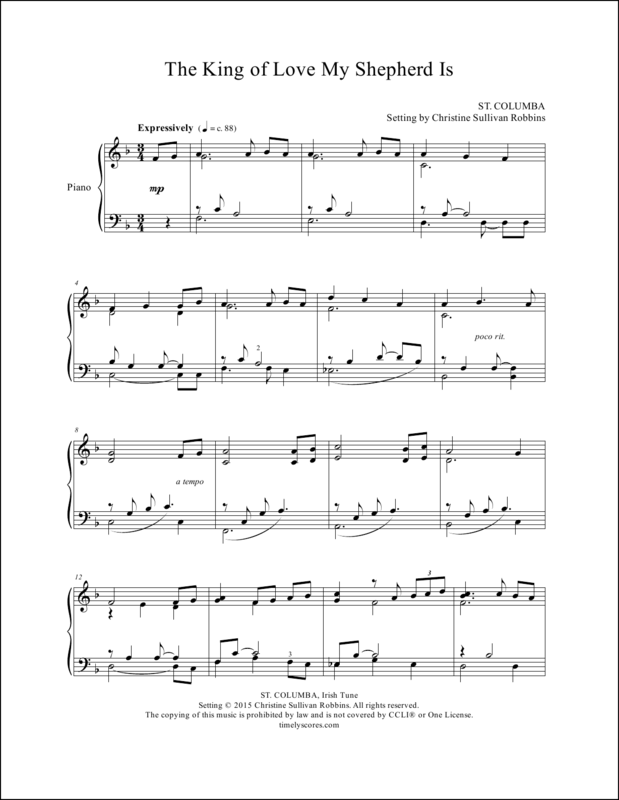 Arranged as a love song, this tender piano arrangement of the Irish hymn tune St. Columba will stir your listeners’ hearts during church services, weddings, funerals, and memorial services. Learn more. Will you come and follow me…inspire listeners with this contemplative piano arrangement of the Scottish hymn tune Kelvingrove. 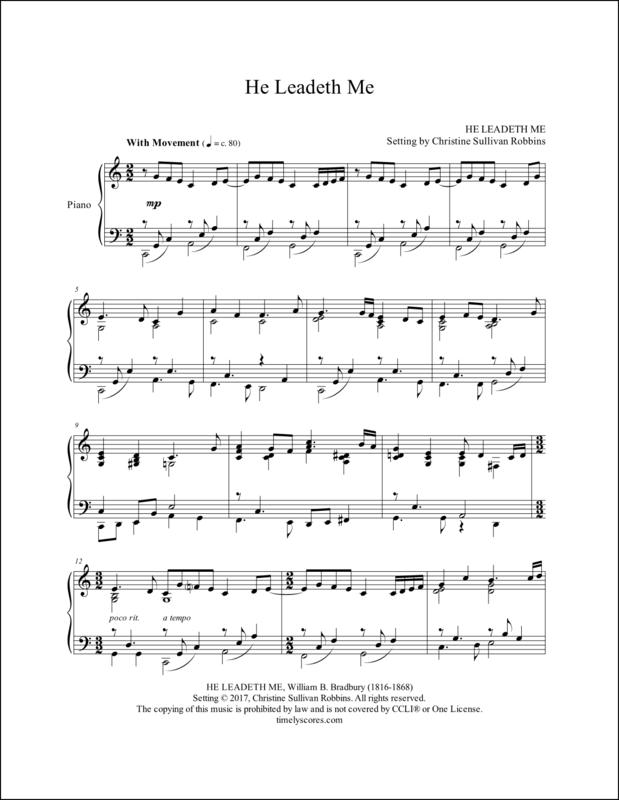 An all-time number one seller, it’s easily learned and a favorite for many church pianists. Learn more. 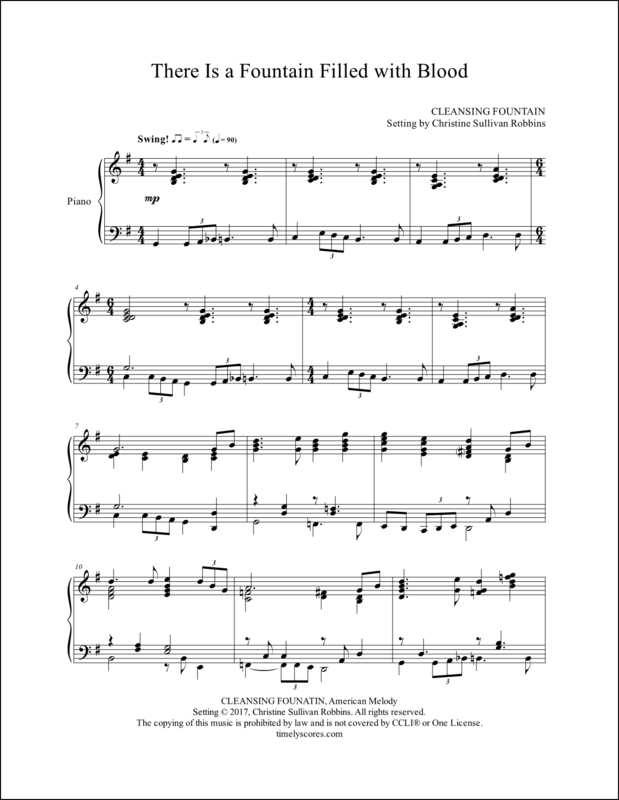 Catch listeners’ ears with this bluesy piano arrangement of the favorite gospel hymn tune Cleansing Fountain. Fresh and great fun to play for church services and recitals. Learn more.